Bring good cheer to his volunteer service and it's proven to be contagious. As a Dolphin Companion, Josh Bartek has made 650 visits and donated more than 1,400 hours of service to lonely seniors in nursing homes. His weekly visits, always on Tuesdays, are and have been a consistent part of his everyday life for a long time. Josh has a special gift of gab and endears himself not only to his assigned client but to all the residents and staff of a nursing home. The Dolphin Companions program has a singular goal: to eliminate the loneliness of isolated seniors. The Dolphins subscribe to a one-to-one philosophy. Each volunteer, known as a Dolphin, visits a nursing home resident that they are matched with, becoming a special friend to that person. He has been an active volunteer with the program for more than 11 years. Before that, in an ad hoc way, he had helped care for several individuals including his brother-in-law who endured leukemia, before passing. In supporting his sister and becoming part of his brother-in-law’s care team, Josh said, “I found something in me I didn’t know I had.” Losing a close family member at age 42 showed Josh how fragile life is. For several years Josh and his mother also cared for an elderly neighbor, Dolly. When she passed, he was ready to be a companion to another isolated individual in need of companionship. That was when he became a Dolphin. Slowly that began to change but it took more than a year. That’s when he knew that Robert had started waiting for him to visit. It started to get a lot more comfortable. Robert asked Josh if liked soft pretzels and ginger ale. From that day on, Robert brought them regularly. Robert’s career was in railroads so together, they watched hours of railroad videos in Robert’s room. Two and a Half Men was also a favorite TV program they enjoyed together. He was one of the few attendees at Robert’s funeral. 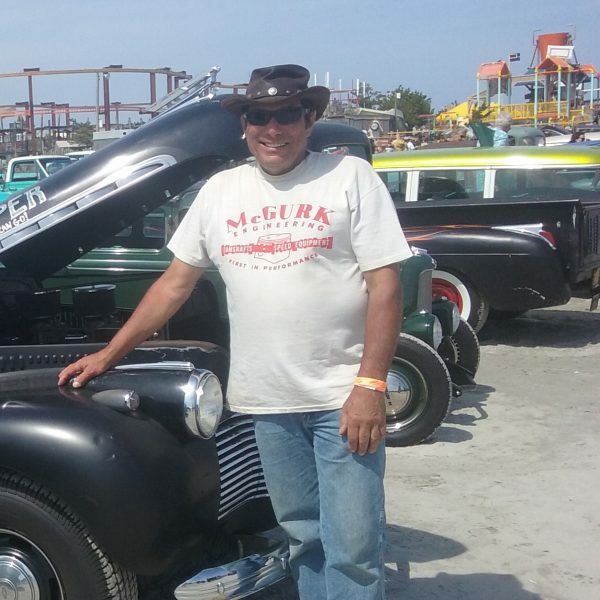 An automotive internal combustion mechanic specializing in antique and race cars, Josh’s generosity as a volunteer brings joy to others while tapping a talent he has for bringing good cheer and positive energy to any situation. That’s the type of good cheer that has proven to be contagious.